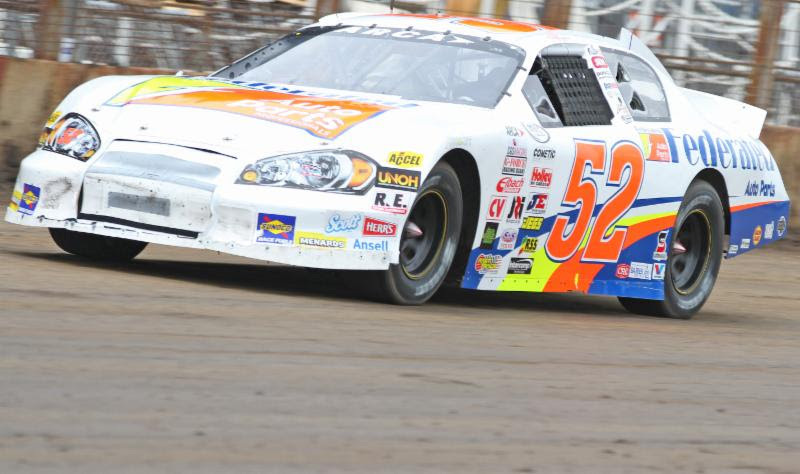 (SPRINGFIELD, Ill. – July 29, 2015) – The SuperChevyStores.com-Allen Crowe 100 national championship stock car race at the Illinois State Fairgrounds in Springfield, featuring the ARCA Racing Series presented by Menards, is turning 53. 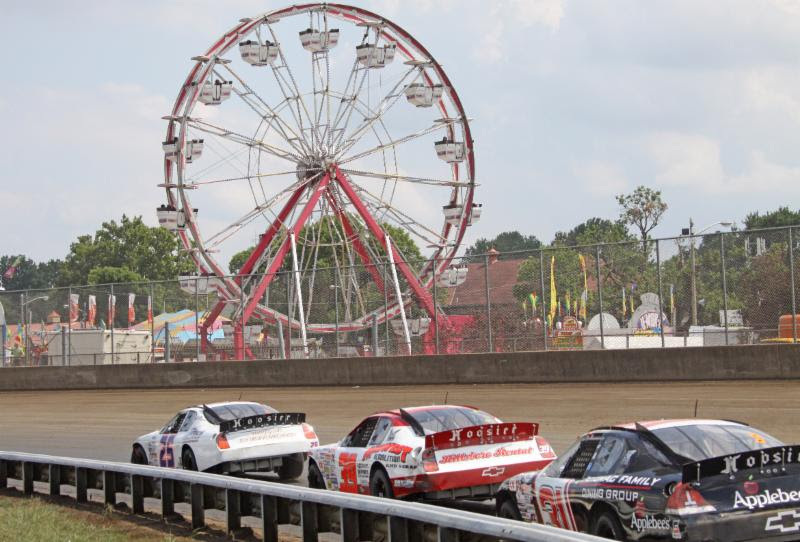 The 53rd running of the SuperChevyStores.com 100, one of the capital city’s largest sporting events, takes center stage on the world’s fastest mile dirt track Sunday afternoonAugust 23 alongside the 163rd annual Illinois State Fair, ongoing since 1853. With ARCA’s roots reaching back to 1953, much of the tour’s rich history developed over the decades on dirt tracks across America. In fact, the 2015 SuperChevyStores.com 100 marks the 352nd ARCA race on dirt since the series’ inception. The on-going legacy of one of America’s oldest state fairs has certainly included a sizeable chunk of auto racing over the years – its tenure dating back more than 70 years to 1934 when Billy Winn won the first-ever championship race event on the mile horse track. And it’s on that same horse track where the Allen Crowe 100 grew roots since the inaugural 100-lap stock car race in 1950 – Jay Frank the winner. The SuperChevyStores.com 100 is named in honor of Springfield resident Allen Crowe who lost his life in a sprint car crash at New Bremen Speedway. The event is one of two dirt-track venues on the annual ARCA Racing Series schedule, the other being the Labor Day Southern Illinois 100 at the DuQuoin State Fairgrounds. Over the years, Allen Crowe 100 winners include Curtis Turner (’63), Don White (’66, ’67, ’72), Al Unser (’72), Jack Bowsher (’73), Roger McCluskey (’74), Ramo Stott (’76, ’77, ’80), AJ Foyt (’79), Joe Ruttman (’80), Dean Roper (’81, ’82, ’83, ’83, ’85, ’86), Bob Keselowski (’87, ’88, ’89, ’93), Bobby Bowsher (’91, ’92), Tim Steele (’96, ’97), Schrader (’98), Bill Baird (’99, ’04), Justin Allgaier (’06), Parker Kligerman (’09), and Kimmel (’00, ’01, ’02. ’03, ’05, ’07, ’08, ’12). 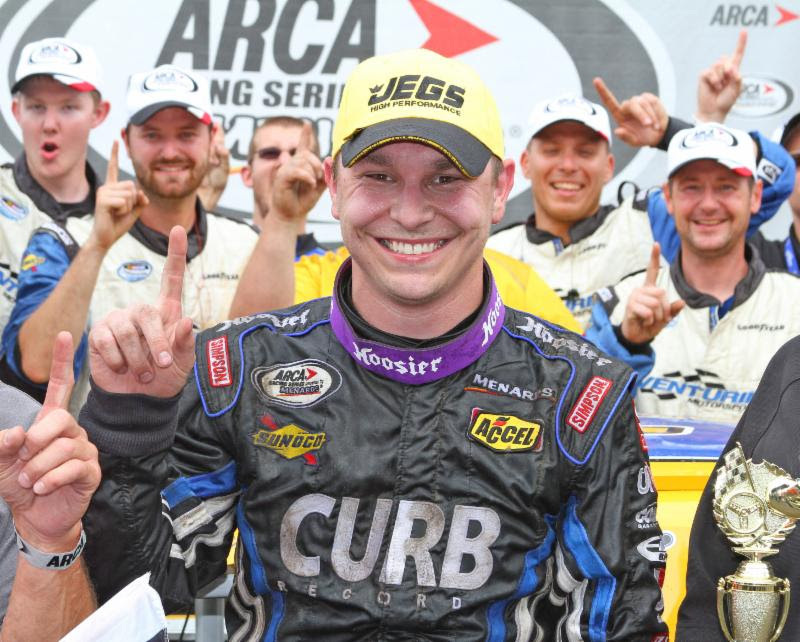 Germantown, Tennessee’s Kevin Swindell, subbing for the recuperating John Wes Townley, won last year’s race in a Venturini Motorsports Toyota. To order advance reserved tickets at a discount, call Track Enterprises at 217-764-3200.